I haven't seen Stand by Me since the eighties, but I recently bought the blu-ray. I think it won't linger in the unwarched pile for much longer. I strongly support Pete's recommendation. Stand By Me is one of the best Stephen King adaptations out there and just in general a great film about friendship. It one of those films that manages to make me cry even after multiple viewings. One of my favorite films of the 80s. It just remains to see if I can watch Wil Wheaton without thinking of Big Bang Theory (no, I never watched STTNG). Well since you never seen STTNG chances are you won;t recognize him... he is awful young here. But the one that really surprised me is Jerry O'Connel (Sliders). Just watched it, and yeah, both Wil and Jerry were hard to recognize. I could see the likeness in their eyes, but only because I knew who they were. I didn't recognize River Phoenix, but Corey Feldman and Kiefer Sutherland were easy to spot. Matthew Broderick (Ferris Bueller's Day Off) and Ally Sheedy (The Breakfast Club) star in this compelling drama filled with action, suspense and high-tech adventures! Featuring superb performances by Dabney Coleman and Barry Corbin, WarGames™ is "brilliant...funny...and provocative" (New York) – a fast-paced cyber-thriller. This is a film I haven't watched in several years. While the computer equipment really shows the age of this film... it didn't take too much away from the storyline. I never really noticed it when I watched this film when I was younger... but David really knew how to do things that a high school student shouldn't know how to do. So with this one you really have to suspend disbelief... but I still really liked the story line. I also had a little problem with Dabney Coleman... as I never been a fan of his. There is just something about him that rubs me the wrong way. On the other hand I always liked Ally Sheedy so it was fun seeing her in one of her earlier roles again. Anyway I really liked this one... possibly more then I should. Definitely worth the time put in to watch it. Combining offbeat humor and nefarious suspense, this fast-paced comedy is thoroughly entertaining! 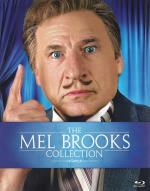 Dr. Robert Thorndyke (Mel Brooks) is the newly appointed director of the Psycho-Neurotic Institute for the Very, Very Nervous. As he becomes aware of evil and sinister forces at work in the institution, he also becomes aware that he suffers from acrophobia, making him almost nervous as the patients he treats. Each new and hilarious high-rise experience leads to his eventual conquest over his fear of heights and the apprehension of the culprits behind the plot to destroy him and the asylum. While I did enjoy this one... I don't think I was really in the right mood to get full enjoyment from it. I just wasn't in a silly and fun mood. I watched it in hopes of it pulling me out of a bit of a depression. Which didn't seem to work. I do like how they spoof the Hitchcock films here. Unfortunately there is many Hitchcock films I never seen so sure I didn't get all the references... but I seen enough of them to get a lot. Enough to enjoy the movie for what it is meant to be.I would say it is definitely worth the time put in to watch it. And think I would probably enjoy it even more when in the right mood to watch it. Captain Oren Hayes and the legendary Texas Rangers use their wits to defeat the villains. This is one I never seen... but always heard good things about. while I enjoyed it... I was expecting more from it. I just didn't find it all that funny. It was however interesting enough to keep me watching. An ok film... just don't go in expecting much. In Lara Croft: Tomb Raider, Lara (Angelina Jolie) explores lost empires, finds priceless treasures and punishes villains in mortal combat. And it's all in a day's work! 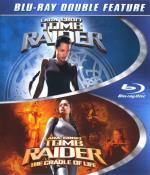 But a secret from her father's (Jon Voight) past leads Lara to her greatest challenge. I used to play the games years ago (definitely want to get back to the games as well)... and watched this film when it first came out. When I popped it in today all I really could remember is that I enjoyed it. And that stayed true today.I loved the character and loved the action.And I think Angelina Jolie did a great job portraying the character. I felt this one was definitely worth the time put in to watch it. Streetwise San Francisco police detective Harry Callahan will nail the serial killer Scorpio...one way or the other...no matter what "the system" prescribes. I enjoyed this one a lot. It has a good story... as well as some good action. I will say that for me... the movie didn't age well. I at least remember it being slightly better then I feel it is today. Clint Eastwood was the man... and is still the man. I do think he has improved as an actor since this movie though. Not that he was bad in this... as I thought he did fine. But I do believe he has grown as an actor and has improved in his movies since this one. That being said... it really is a good movie... well worth the time put in to watch it. Colonel Pete Moore is commander of the Whiney Radar Test Group, which has been experiencing electrical problems aboard it's aircraft. 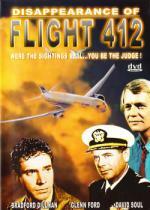 To ferret out the problem, he sends a four-man crew on flight 412. Shortly into the test, two jet fighters scramble and mysteriously disappear. Investigations begin, leading to the possibility of a UFO intervention. I had some hope for a decent movie when I pulled this one out... as it had a couple decent actors in it. But unfortunately they really had nothing to work with here. It is a story line that had potential.. but they just ruin what interesting story line they had with unwanted and unneeded narration. Most the time basically telling us what we already know by watching the picture on the screen. The writing was off for this film... it felt like we were watching a '50s Sci-Fi film made in the mid '70s! This film is only about 70 minutes... and I had a hard time making it through it. First I was fighting off falling asleep. Then I found myself more interested in looking at facebook on my phone then I was the TV screen. Don't bother with this one!